One of the world’s largest children has been born – weighing the same as a pygmy hippo calf. 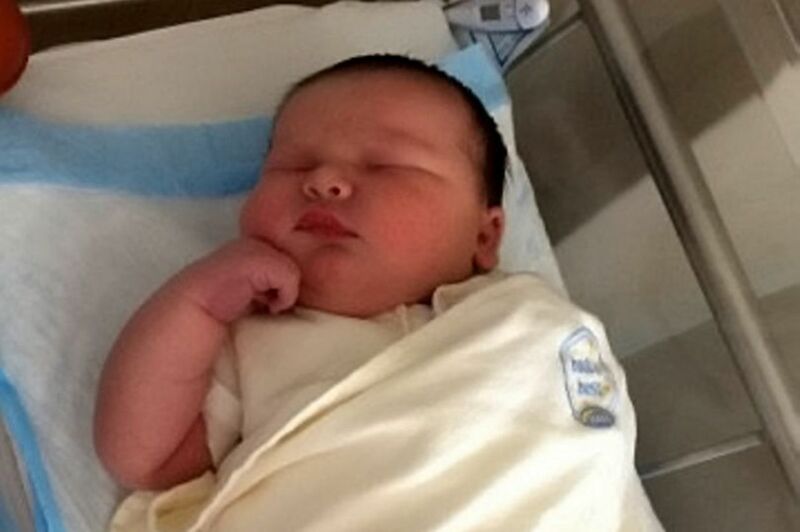 Colin Austin Keisler was born at a whopping 14.4lbs and is about the size of a five-month-old toddler. His proud parents Cindy and Arthur knew they were going to have a big baby, but they weren’t expected him to be so large he barely fit on the hospital scales. Arthur, 38, “When he was born all the nurses and doctors were just stunned. “They were all trying to guess how big he was and they were googling big babies. “As they were sewing my wife back up, they pulled a scale into the operating room, but he could barely fit on it. “We knew we were going to have a big baby from the start because Cindy’s belly was huge. Everyone thought we were having twins.